The Bournemouth branch decided to install Entrance Matting to help reduce the ingress of soil and moisture in their hotels. 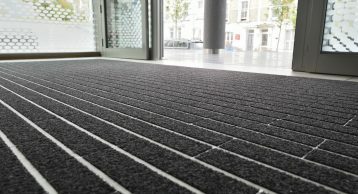 Entrance Matting is one product that has played a pivotal role in keeping facilities clean and safe, yet most people walk past it without realising it. 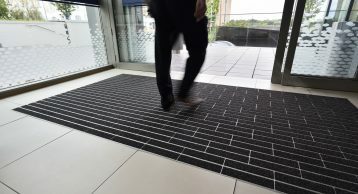 Keeping the hotel premises safe and accident free is paramount, entrance matting can not only ensure this but also help keep the facilities looking at their finest. Hampton by Hilton is one brand where the looks matter the most. Hilton specified a brick pattern which not only look aesthetically pleasing but form the perfect barrier against dirt and moisture. 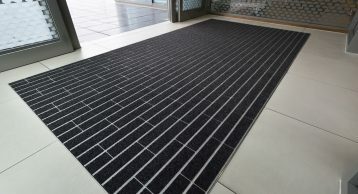 The client specified our very popular entrance matting product INTRAform DM. 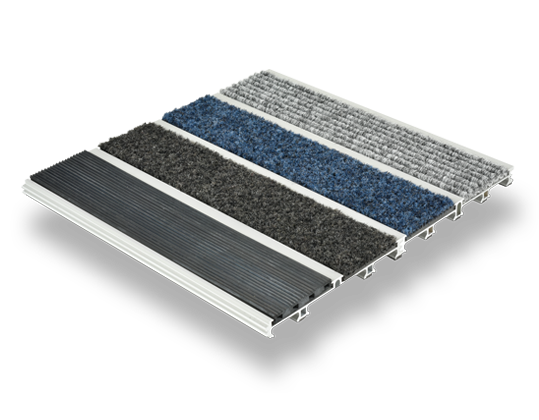 This product offers a Heavy-Duty Aluminium Plank System, optimum moisture absorption from extra width fibre inserts, Interlocking sections for ease of installation and seamless design. INTRAform DM is Compatible with standard INTRAform system, it is fully DDA compliant and produced from 100% recycled aluminium. 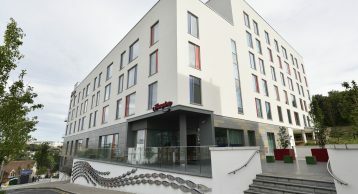 For Hilton, the Elite Polyamide 608 Insert was used. This insert has several benefits such as its 1080g/m² pile weight for optimum durability and comfort. 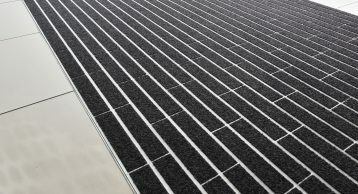 The Polyamide fibres are also known for effective moisture absorption, soaking almost 5.4L/m². It is 33% recycled Econyl yarn for excellent environmental credentials. The insert can be surface mounted and has excellent fire resistance and acoustic absorption. The Elite Polyamide 608 insert truly forms the ultimate solution to be paired with INTRAform DM. Please Contact Us to see how we can help you create truly stunning entrances!